Ask anyone familiar with David Mitchell's 2004 novel Cloud Atlas about whether it can be turned into a film and they will tell you that it's "unadaptable." Not because of the story, which is actually quite linear, but because of the structure. Consisting of six separate yet subtly interconnected stories that span hundreds of years, from a nineteenth-century merchant ship to a far-flung futuristic wasteland, Mitchell cuts all but one story in half, then shifts from one story to the next as each reaches a cliffhanger, then returns to tell the second half of each story as the novel moves towards its end. (Or, to put it into numerical terms, the stories progress thusly: 1-2-3-4-5-6-5-4-3-2-1.) It's a Russian doll of a novel in which each story contains the next, and as such would be dramatically frustrating in any medium. In bringing Cloud Atlas to the screen, co-directors Andy and Lana Wachowski (The Matrix Trilogy) and Tom Tykwer (Run Lola Run) abandon that structure in order to have the multiple strands play out more or less simultaneously. They bounce from story to story, leaping from that of a young lawyer (Jim Sturgess) helping a runaway slave (David Gyasi) to that of a clone (Doona Bae) escaping from the nightmarish dystopia of Neo-Seoul in the blink of an eye. In effect they turn the film into one prolonged montage depicting the way in which two souls meet and re-meet throughout time, and the way in which actions can reverberate across centuries. Whilst the film loses the structure of the novel, it loses none of its themes. In fact, this approach highlights many of the recurring ideas that Mitchell explores. The Wachowskis and Tykwer treat the stories almost like music, allowing motifs to reflect off of each other in much the same way that different melodies can act as counterpoints to each other. Each individual story is, at least in part, about people trying to pursue freedom in the face of prejudice or oppression, and as such there are moments in each story that nicely complement each other. For example: The moment when Gyasi works to earn his passage on a ship by unfurling its sail chimes beautifully with one in which Bae and her rescuer (Sturgess) try to walk along a plank placed high above the stunning vista of Neo-Seoul, all the while being fired at by their pursuers. It's a wonderfully edited sequence that reinforces the way in which the struggles of the respective characters, though they take place in wildly different times, and even different genres, are fundamentally the same. The notion that actions and ideas can transcend time and space is central to the story, and these moments of reflection and interconnection do much to underline it, though these moments of dazzling brilliance are pretty sparsely spread across the near three-hour running time. Other techniques are less unequivocal successful. The multiple timelines require a great multitude of characters, and the film-makers reinforce the idea that the central characters are essentially the same people being reborn throughout time by having a handful of actors play multiple roles. It's an effect that can be incredibly effective - since no actor plays only good characters it can be genuinely surprising when, for example, Tom Hanks is revealed to be a villain in one segment when in others he is a hero - but at other times it can be distracting. There's fun to be had in trying to figure out who is playing what role under all the makeup, or in trying to spot actors who play major figures in one story showing up as minor ones in others, but it can also take you out of the story. There's also the question of whether the film enters into queasy territory when it crosses racial or gender boundaries by, for example, having Sturgess play a Korean character. However, this is clearly meant as provocation, and as such is built into the thematic and emotional core of the film. Sure, Hugo Weaving playing a woman is odd here (as opposed to seeing him in drag in The Adventures of Priscilla, Queen of the Desert, where it is hilarious), and the least said about Hanks' brief - though not brief enough - turn as an Irish thug the better, but there's something kind of beautiful (not to mention incredibly nutty) about the commitment that the film-makers and actors bring to the "deep down, we're all the same" idea at the centre of such a conceit. By deliberately drawing attention to questions of race, the film actually renders such distinctions meaningless in pursuit of a higher truth. 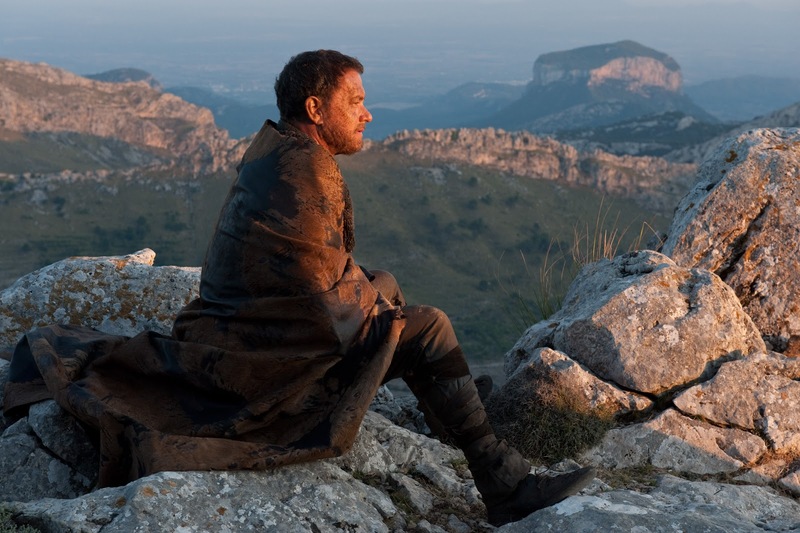 At its heart, Cloud Atlas is about the idea that people live on through their deeds and actions. The film uses the notion of reincarnation to examine this - the protagonist in each story is marked by a similar comet-like birthmark or scar and each of them is beset by villains who may also be reincarnations of a different soul - but the spiritual idea, the idea that people live many lives and that they meet the same people time and again, is less important than the idea that what the characters do is what really counts: The kindness of a lawyer inspires a young composer (Ben Whishaw) whose music touches a journalist (Halle Berry) and so on, eventually leading to great sweeping changes long after the original character is dead. Each individual story in Cloud Atlas is straightforward, even simplistic, but taken together they offer a much more complicated mosaic of life and the need for people to fight injustice wherever it might be found. This can be big and earth-shattering, such as the battle that Sonmi-451 wages against her creators, or small and personal, as in the case of Timothy Cavendish's (Jim Broadbent) efforts to escape from a retirement community, but in each instance what matters is the fight itself, regardless of the end result. It's a simple message that echoes throughout each story, but repetition makes it no less potent. In fact, with each repetition it grows in volume and power until it reaches a crescendo in the final act(s). Cloud Atlas's reach frequently exceeds its grasp. In dispensing with the more rigid structure of the book, The Wachowskis and Tykwer's more free-flowing approach at times feels clunky and uneven - particularly during its opening 45 minutes as it introduces every timeline and character - and it occasionally struggles to make its trans-chronological connections have the impact that they need. Yet the moments when they hit are spellbinding, and the film remains a singular and ambitious work with a powerful, necessary message. It's undoubtedly flawed, but wonderfully and fascinatingly so. It is guaranteed to divide people into passionate defenders and ardent detractors: I, for one, am happy to count myself among the former.